The Vapor Zen is a shop designed to bring together the vaping community while providing excellent products and exceptional customer service to help every customer enjoy their vaping experience. 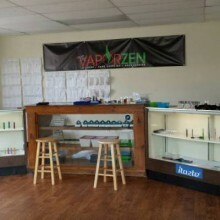 We want to be your go-to place for all of your vaping needs. Street Address: 65 East Washington Ave.